I remember how my mom loved a sweater coat when I was a kid. And when duster sweaters became popular last year, I thought of her. Hmmm that gives me a Christmas gift idea! I absolutely love duster sweaters. They can add an instant pizazz to a boring outfit! I like to wear mine with leggings and boots but you can also wear them with jeans or even a dress. They are also great for transitioning summer clothing into fall, like wearing one over a sleeveless jumpsuit. I found the one I’m wearing here for a steal at JC Penny a few weeks ago. After coupon and clearance I got it for about $8! If you haven’t shopped JCP in awhile, check them out! They have really come a long way and now have super cute things and the best part about shopping there is there’s always a coupon! I usually hate wearing all black, so adding the sweater also was a quick way to add a little “color”. 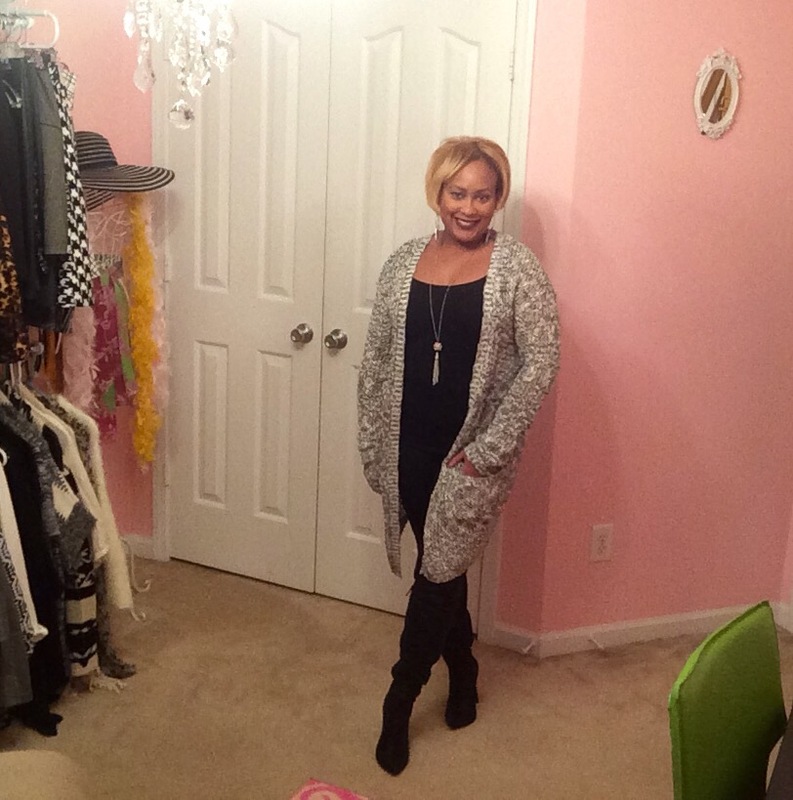 Do you love duster sweaters too? And what do you like to wear them with? Those boots are rocking!! I nice duster can really make an outfit pop! Thank you 😉 and I totally agree, a nice duster is a must have!!! !